Melton Town will have home advantage for their Leicestershire Senior Cup semi-final next month. 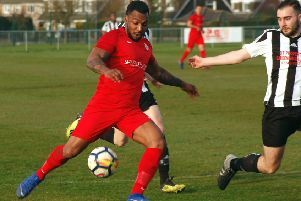 A neutral venue was originally sought for their tie with East Midlands Counties League side Barrow Town, but the match will now take place at Town’s Signright Park home on Tuesday, February 12. Melton are bidding to win the cup for the first time, having last season reached the semi-finals under Shane Jarram. Heather St Johns will host Ashby Ivanhoe in the other semi-final on February 19. Two of our other sides will also play their county semi-finals early next month. FC Wymeswold Reserves have been drawn against Scraptoft United in the semi-finals of the Saturday Vase on Saturday February 2, while District League outfit Queniborough face Division One rivals Forest East seven days later.